A dynamic and rapidly evolving field, Pathology is the study of disease, or more generally, the study of the biological response to adverse conditions. 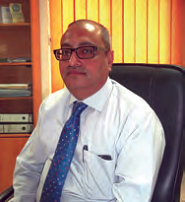 As an intellectual discipline, Pathology bridges basic and clinical sciences. Basic research into the causes and mechanisms of disease (experimental pathology) goes hand in glove with identifying the morphologic and biochemical manifestations of disease in human patients (anatomic and clinical pathology, respectively). All of these have important diagnostic and therapeutic implications for patient care. Teaching of this body of knowledge at various pre- and postdoctoral medical and scientific levels of understanding provides a unifying component to laboratory and clinic. 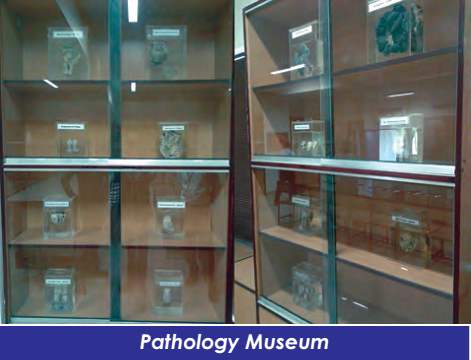 The Department of Pathology at Bahria University is located on the second floor of the BUMDC building. It is a large multi-disciplinary department having two wings: Basic, located in the premises of Bahria University Medical & Dental College, Karachi and Clinical, functioning at PNS Shifa, Karachi. 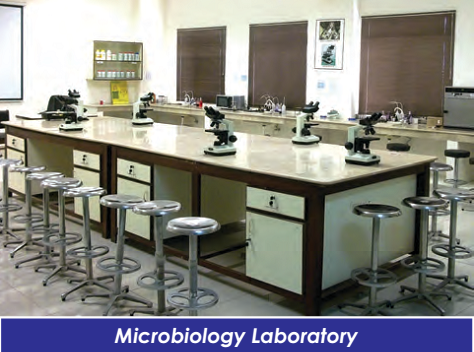 It is one of the seven basic science departments at BUMDC. 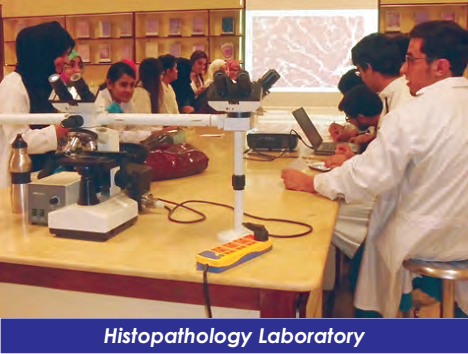 Our diverse faculty teaches in different phases of MBBS and BDS undergraduate programs as well as engaged in post-graduate fellowship training in various specialties of pathology. Our mission is to provide a research based academic environment that allows our faculty, students, fellows and staff not only to succeed, but to excel. Our goal is to advance our fundamental understanding of the pathology and the patho-physiologic mechanisms of disease, and to bring this knowledge to others through teaching and publication.